MUMBAI: Music is all about experimenting and creating wonders. But, this will definitely go to the next level with Indian Music Industry’s legends coming together with an interesting concept. 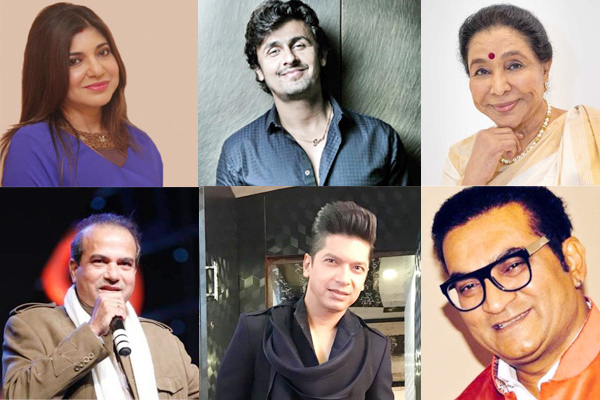 Singers like Asha Bhosle, Suresh Wadhkar, Sonu Nigam, Abhijeet Bhattacharya, Alka Yagnik and Shaan are a part of this project. Wondering what this will be? Well, it’s an independent song that will be sung by these singers individually in their styles. Isn’t this exciting? Composed by Vishal Mishra and penned by Rashmi Virag, the song is titled Ae Zindagi and would be released by mid-July. All the six versions will be released at the same time. The project has been worked on for four months as it was not easy to get the big names together. Apart from that Vishal also had to put an orchestra in place. “The most amazing part is that all the versions will have one common visual to it which is shot in Europe. One video having six different versions of it will be a delight to watch,” added Vishal. MUMBAI: Darshan Raval who ended 2018 on a high note with arguably the biggest hits of the year in Chogada Tara and Kamariya, has started the new year on an upswing as well.